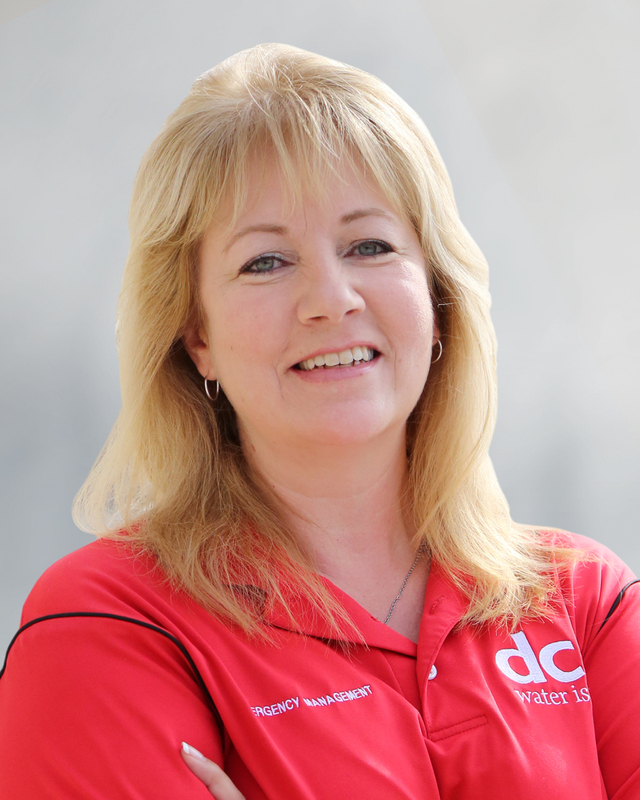 Dusti serves DC Water as Director, Emergency Management. Along with managing the Authority's emergency response and planning activities, she reviews and writes response plans, is responsible for external citywide planning to enhance Public Works Emergency Support Function (ESF 3), facilitates DC Water’s portions of the District’s Response Plans, develops an annual training calendar, and serves a coordinator and Planning Section Chief for DC Water’s Incident Management Team. Previously she was a member of the Planning Section for NorthWest Montana Type 3 Incident Management Team for eight years and worked for Montana Department of Environmental Quality - Public Water Supply from ten years as the program’s security and emergency preparedness specialist and as a technical assistance specialist/inspector. As a registered sanitarian (RS), Dusti previously worked for Flathead City-County Environmental Health Division for four years after receiving her bachelor’s degree in Environmental Quality from the Salish Kootenai College of Montana and the College of Charleston in South Carolina. Dusti has numerous certifications and a variety of experience in incident management, critical infrastructure protection, contamination monitoring, vulnerability assessments, water system operations and maintenance, drinking water quality regulations, public health, emergency planning, training and exercises, and response. She enjoys instructing courses and leading workshops and exercises. In her free time, she volunteers with the American Red Cross and works with animal rescue groups. She enjoys being outside, camping, and fishing with her family and friends. Dusti is a fifth generation Montanan who grew up in Belgrade, Montana.